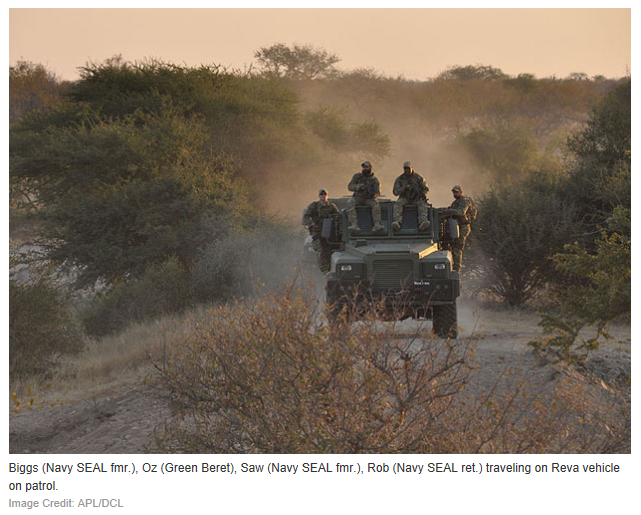 It is a scary world when we realize that we need the special skills of Green Beret and SEAL veterans to protect our African wildlife. A Green Beret Medic, Navy SEAL ret. Intel, Navy SEAL ret. Sniper and Navy Seal team lead. 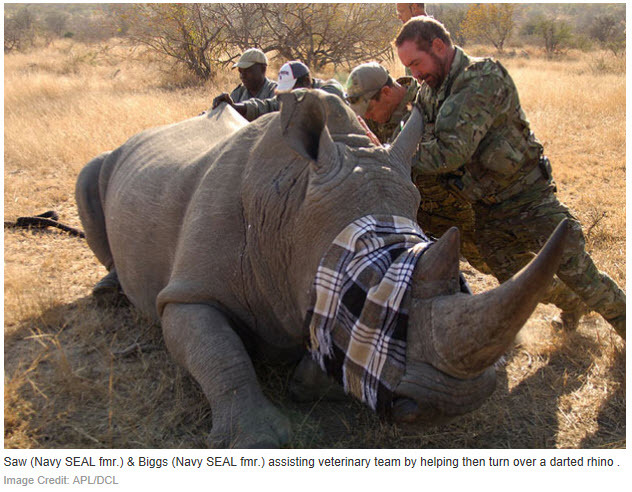 They join the fight in the north eastern region of South Africa to combat Rhino poaching. Watching Animal Planet’s Battleground: Rhino Wars is heartwarming and heart breaking all in one episode. So many people care to save the Rhino, while so many others try to wipe out a precious species. This entry was posted in All about travel, Wildlife conservation and tagged Animal planet, Battleground Rhino Wars, rhino poaching, Rhino rescue by Findtripinfo.com. Bookmark the permalink.